Yeah, I’ve seen pictures of it, but I haven’t been able to find one on eBay. Although, I don’t actively look for it a lot. But if anyone out there has one…. I’m buying. Neat pick-up congrats on it. 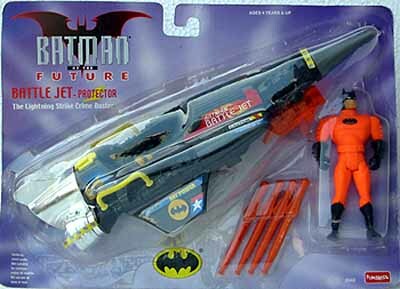 Has the Stiletto been modified to fit Batman, or is still a go for classic Joes? i actually dont know for sure, dont have it in hand yet. But, I think it still fits Joes. nice price, and interesting piece. Hope you post some in hand pics! I know there is at least one Superman Claw. I thought it has both red and blue coloring though? It is hard to find, haven’t seen it for sale yet.